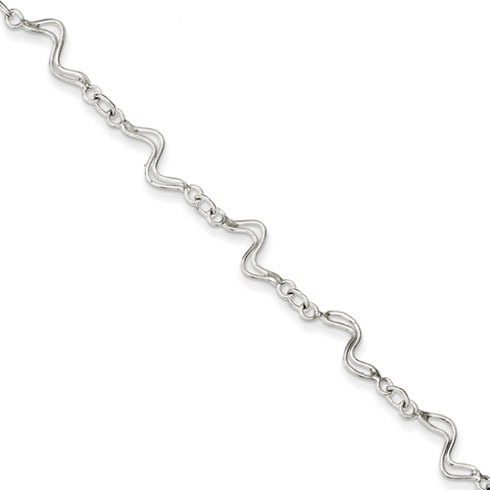 This fancy wavy anklet is made of polished sterling silver. Length: 9in. Spring ring clasp. Weight: 3.55 grams. Import.